Hydrogen fuel cells are changing the way the world works and plays. 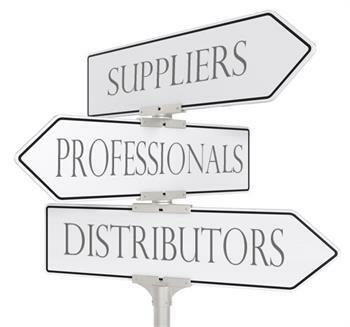 The first to see the dramatic improvements from fuel cells is the distribution and warehouse industry. Today, lift truck fleet managers are replacing batteries in forklift trucks with hydrogen fuel cells and, in the process, seeing operational improvements like increased productivity, lower operating costs and reduced environmental footprint. For the retail, grocery, institutional food distribution and manufacturing companies that are on the cusp of switching to hydrogen for their material handling needs, here are five reasons now is a better time than ever for hydrogen fuel cells. Fuel cells are economically viable for the market. Fuel cells are viable for the market, as evidenced by 10,000 forklift trucks powered by Plug Power GenDrive fuel cells, accumulating more than 110 million hours of operations, deployed by more than 40 companies in North America and Europe. Of these companies, many are repeat customers that have either expanded their current fleet or deployed in multiple sites. Major distributors, retailers and manufacturing companies have made the strategic, long-term decision to utilize hydrogen fuel cells to power electric lift truck fleets based on the desire to improve business operations through increased productivity, lowered operational costs, improved space utilization and reduced greenhouse gas emissions. 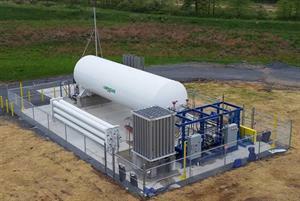 Fuel cells are a cost effective, valuable alternative. 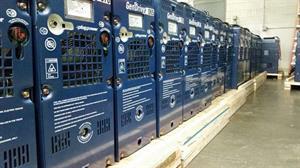 GenDrive fuel cells provide an immediate savings in new facilities. Fuel cells have proven that they can save end users hundreds of thousands of dollars, especially in environments where forklift trucks run multiple shifts and battery change-outs are needed. Fuel cells also provide an immediate savings in new "greenfield" sites by eliminating the need to earmark funds for costly battery charging and changing infrastructure, including copper wire, battery watering, maintenance equipment and space-consuming racks. Using fuel cell systems also lowers a distribution center’s electricity bill through the elimination of battery charging, as well as reducing electricity costs for the remaining operations at the customer’s distribution center. On average, lead-acid battery charging represents 25 percent to 30 percent of a distribution center’s electricity usage and approximately 50 percent of peak demand charges, due to the spike in electricity usage when batteries are charged. Implementation of fuel cells significantly reduces this peak demand and the facility’s overall electricity load profile. Fuel cells enable productivity, now more than ever. GenDrive fuel cell customers are seeing productivity improvements of up to 15 percent. Not only do GenDrive fuel cells outperform lead-acid batteries, they also improve lift truck uptime. Lead-acid batteries require changing once per shift – an activity that consumes approximately 15 minutes of a forklift operator’s time. This compares to an average of two minutes required for the hydrogen refueling of a GenDrive unit. Over the course of one year, those 13 extra minutes needed per shift for the battery change amounts to over 156 hours of lost productive time per forklift truck in a 3-shift operation. For high-throughput customers, uptime is critical. Customers tell us that when a production facility is operating 24/7, any downtime means lost sales (as much as $7,000 per minute in profits), as they cannot get back the lost time. By using GenDrive, customers are able to operate at an elevated efficiency level, protecting revenue for the organization. Fleet Predictability can’t be overstated. Hydrogen fuel cells have proven to be of enormous value because of the predictability they provide. GenDrive fuel cells remain at full power for an entire shift, regardless of the pallet weight being moved - in other words, consistent and expected power and performance, 100 percent of the time. Also, each forklift driver knows exactly when it’s time to refuel – when the forklift fuel gauge is on empty. When it’s time, the operator refuels in just minutes before getting back to work. In comparison, power output from lead-acid batteries declines by up to 12 percent in one shift. 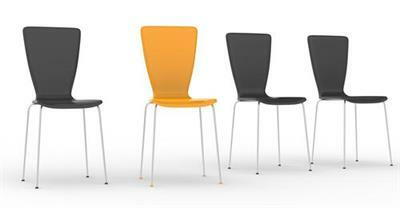 This severely impacts the predictability of the industrial processes in a factory. More so, lift truck drivers must go to a centrally located battery room to change the depleted battery – which weigh up to three tons, making this a tedious, potentially dangerous activity that can distort a predictable process. Customers discover that Plug Power fuel cells solve all of those problems. It’s quite simple – GenDrive fuel cells allow facilities to operate with more precise knowledge of their operational capabilities. 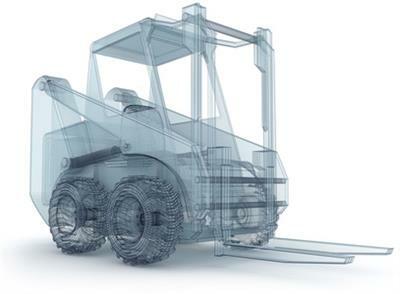 Lift truck drivers are always aware of their fuel level and they know that their GenDrive units can be quickly refueled and back on the floor right away, ensuring predictable delivery of parts to high-precision assembly lines. Customers install the fueling stations parallel to material flow, enabling convenient and fast fill-ups, which result in smooth and predictable operations. Fuel cells operate superbly in extreme temperatures. Unlike lead-acid batteries whose performance degradations are amplified in cold environments, GenDrive fuel cells power material handling vehicles the same way gasoline powers cars. If the system has fuel, it has full power. The GenDrive fuel cell maintains constant performance even in environments as low as -20 degrees F.
Over 70 percent of Plug Power GenDrive customers have a freezer space in their facility. Hydrogen fuel cells are not affected by cold operations, and they run up to twice as long per fill-up compared to battery-powered units. This not only allows operators to stay productive and moving goods around longer, but also means fuel cell-powered lift trucks can remain in the cold storage facility for longer periods of time. With Plug Power’s GenKey it’s never been easier to adopt clean, cost-effective hydrogen and fuel cell power for your business. GenKey delivers a complete range of turnkey services to streamline the entire hydrogen and fuel cell adoption process. Plug Power’s GenKey solution removes complexity and links together everything material handling customers will need for an easy conversion. GenKey includes the following for "one-stop shopping:"
Plug Power provides full integration and deployment of the entire GenKey solution for customers to ensure seamless transition to hydrogen fuel cell-based power. Plug Power acts as a single-source vendor, handling the infrastructure, fueling, service, integration, deployment and ongoing maintenance, so customers can focus on putting their newfound productivity to use. It’s proven – GenKey is an important advance in the industry because it offers a dramatically simplified path to a cost effective, complete hydrogen fuel cell system. With GenKey, customers have a single-source vendor to enable a smooth transition away from traditional power sources to hydrogen fuel cell power solutions. Since being introduced to the material handling sector, hydrogen fuel cells have proven themselves to be a more reliable product at a lower overall cost than lead-acid batteries. Today, many fuel cell users in the retail, grocery, institutional food distribution and manufacturing sectors give little thought to the fact that they are using hydrogen. For them, filling up their forklift fleet with hydrogen gas has become as easy as plugging into an electrical outlet on the wall. 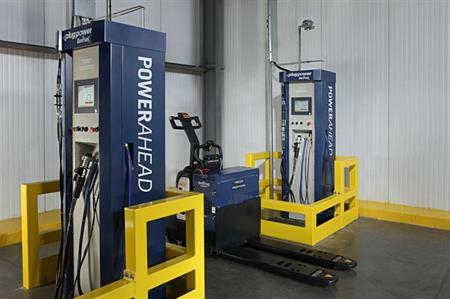 Plug Power’s GenDrive fuel cell units replace lead-acid batteries as a power source for electric lift trucks in material handling operations. ROI and performance drive the choice by customers to replace batteries with hydrogen fuel cells. Beyond those benefits, one of the most favorable attributes of hydrogen fuel cells is their consistent, dependable performance in cold-storage applications – an environment that constrains and degrades the useful life of lead-acid batteries. No wonder so many material handling customers have turned to GenDrive to power their forklifts! For more information about Plug Power, or to locate a Plug Power sales representative, visit www.plugpower.com, call 518.782.4004 or send an email.